With the economic situation being what it is, many women are looking for ways to increase their family’s income without changing their lifestyle. A full-time job is often out of the question as it involves hours spent away from home and added childcare costs. For these reasons, many women are looking to direct-sales opportunities in order to earn more money. With direct sales, women choose their own hours and sell products directly to consumers at product parties. Tomboy Tools is one of the companies helping women to realize their income, lifestyle, and entrepreneurial dreams. Tomboy Tools, one of Entrepreneur Magazine’s Top 100 Brilliant Companies, educates women about tools and provides them with high-quality, ergonomically designed hand and power tools. The products, sold through direct sales, are showcased at tool parties where Tomboy Tools Consultants educate women on tool usage, cost-saving techniques, project ideas, and money-saving tips. The goal is to empower women by teaching them how to tackle home-improvement and maintenance tasks. You do not have to know how to use tools or how to perform home-improvement projects to become a Tomboy Tools Consultant. 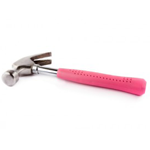 Tomboy Tools will give you all the training you need to teach other women about tools and tool usage. To become a consultant, contact a current consultant or visit Tomboy Tools’ website. There you will find all the information you need to become a tool consultant. Before you start selling, you will need to purchase a business starter kit. The basic kit, consisting of sample tools and business literature, costs around $150. A premier kit is also available for $290. Kits come with everything you need to start your own business. How do you Make Money with Tomboy Tools? Consultants with Tomboy Tools earn money for each sale they make, regardless of how they make it. Sales are made at tool parties, through one-on-one conversation, repeat orders, and internet orders. As with most direct-sales business plans, consultants also earn money for sales made by their recruits. Those higher up in the company or those with more recruits generally earn more money than those starting out. However, the amount earned is up to the individual and depends on how much time and energy is put into the business. By selling tools to other women, consultants earn the extra money they need while, at the same time, continuing to put their family’s needs first. Tomboy Tools is a unique experience that gives women the opportunity to own their own business and live life according to their own principles.